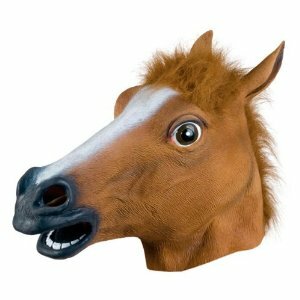 Disturb all your friends and family in any situation by breaking out the awsomeness that is HORSE HEAD MASK. It will be a great conversation piece as you talk to anyone with a blank look on your horse face. Feel like a real life celebrity just like Sarah Jessica Parker with a horse face.